Does your home have horizontal stair balusters like the ones in the picture below? If the answer is yes then know that if not baby proofed, they could cause a serious threat to your baby or your toddler. Yes, building codes vary throughout the Country, but building guidelines weren’t necessarily drawn up with a child’s safety in mind. If the distance at the widest point between the railings is more than 4”, then that banister poses a ‘fit through’ hazard and needs to be childproofed. A quick an attractive solution to this problem is the installation of a clear plexiglass shield. This invisible barrier will not only make sure your baby doesn’t fall or become entrapped between the railings, but it will also stop him from potentially climbing over. The ‘climbing over’ hazard is especially real if your staircase has a ledge, decorative iron, or horizontal rails that your toddler could easily use as a ladder while trying to get around the baby gate. 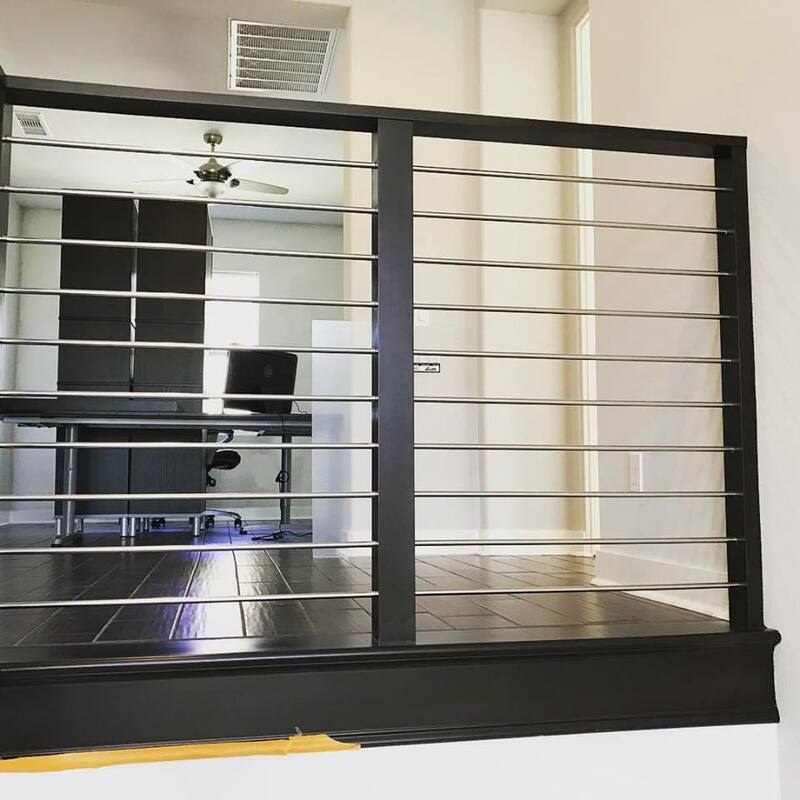 Banister shields are affordable and non invasive to the overall look of the home, but most of all, they protect your little one from getting himself seriously injured.